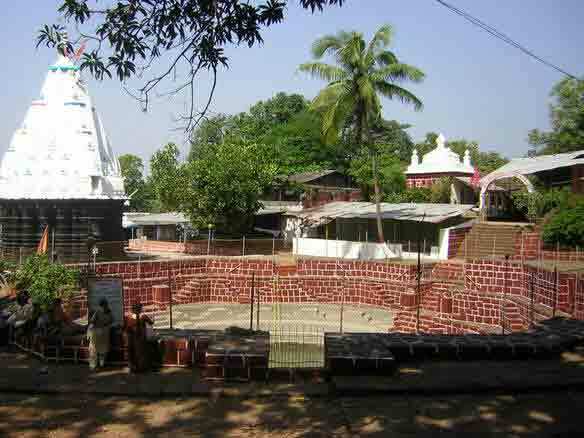 Kankeshwar Temple - 13 Kms from Alibag in Northeast direction is this very famous Shiv temple on a 900 ft. high hill. 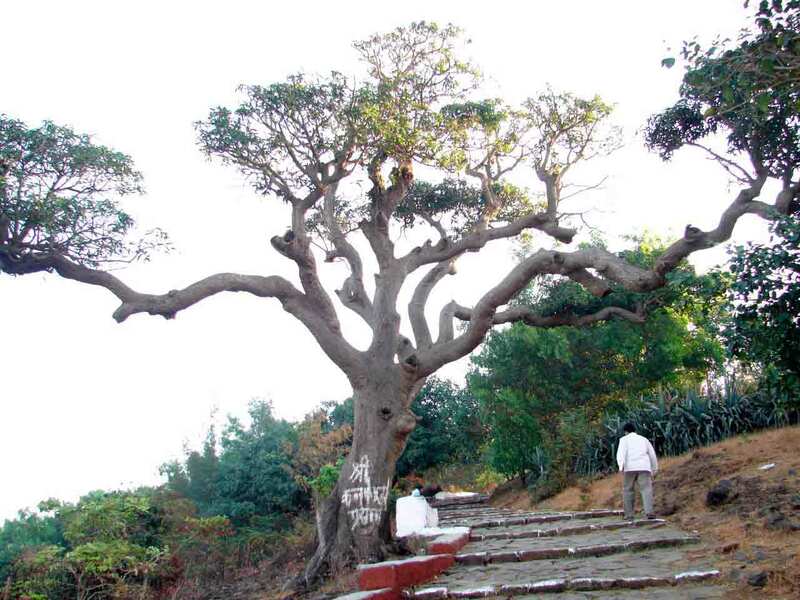 Its' a 5000 ft. long climb on well paved stairs, which takes around one hour landmarks along the route are tombs of MohanGiri and Balgiri, Nagoba Rest, Jambhali Plateau, God's stair, Gaymandi etc. The fatigue of the uphill climb vanishes the moment one enters the scenic temple premises. 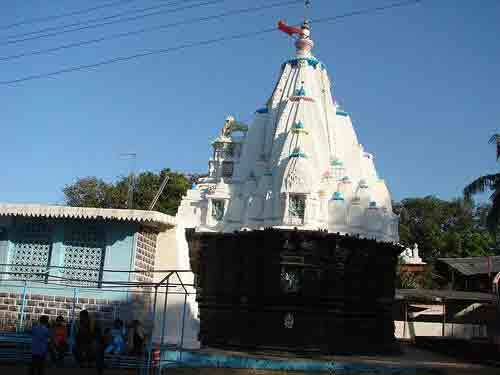 It comprises various small temples of Sri Paleshwar, Sri Hanuman, Sri Balram Krishna and Lord Shiv. 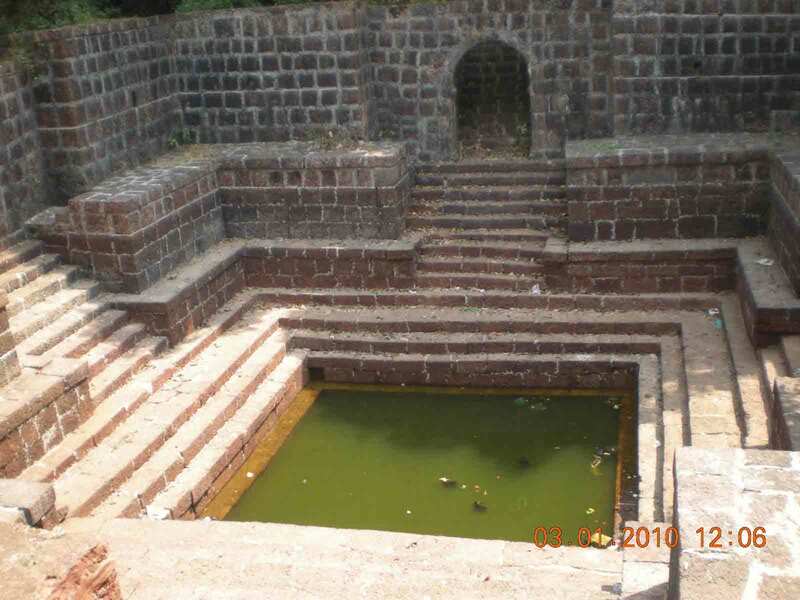 The special attraction is an ancient sweet water tank enclosed in traditional structure of red stone. The ancient temple was built by Raja Ramdeorai yadav. The height of the Shiv temple is 54 ft. 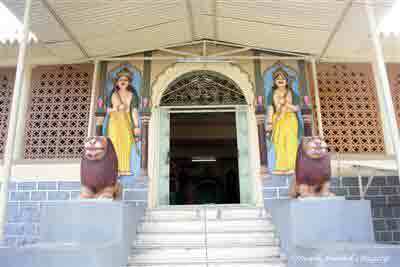 The front gate has Lion sculpture on both sides with traditional lamp-pillarV (deepmaal) in front. The 4 ft. long 'Pindi' of Lord Shiv is Silver plated. 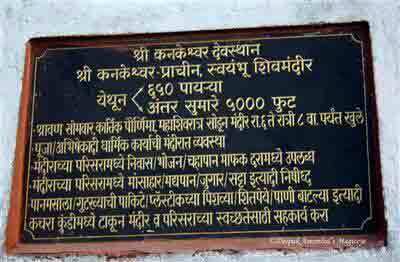 The premises also include Nagaar-khana, Bheem Kunda, a garden for flowers to be offered to the Lord, Sri Ram Ganesh temple and Gomukha. Every year, Kartik Poornima in Hindu calender is the day of fair. On this hill, variety of herbs are found. Hotels and resorts are available near kankeshwar temple.The temple trust has 7/8 rooms on the Kankerhwar mountain. It is possible to reach the foot of Kankershwar mountain by vehicle but there are no motor-way to go up to Kankeshwar temple so you have to climb around 750 steps to reachKankeshwar temple. One way is to reach Paftarpada village (on Pen-Alibag road) from Karle Khind by taking right turn and proceeding upwards. Others is to go to Zirad village by vehicle and climb the steps. 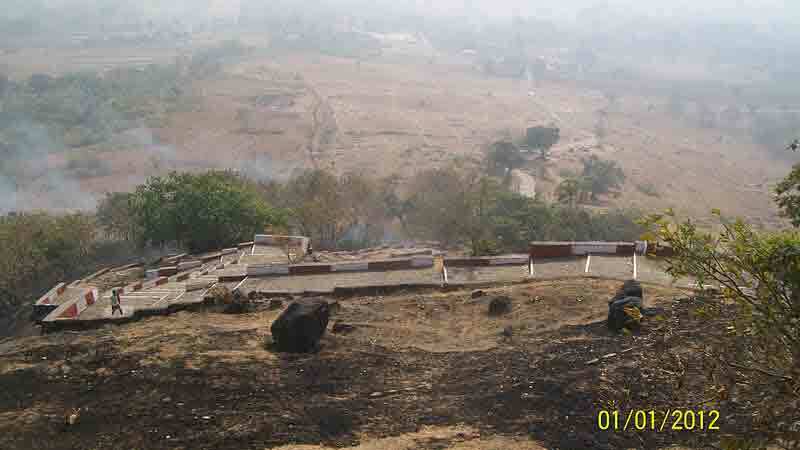 State transport buses are available to reach Mangaon village. Mangaon is nearest railway station. Mumbai to Mangaon is 130 km.